The other day I had the pleasure of trying a very unique beer. In fact this beer is served in only one pub in the world. 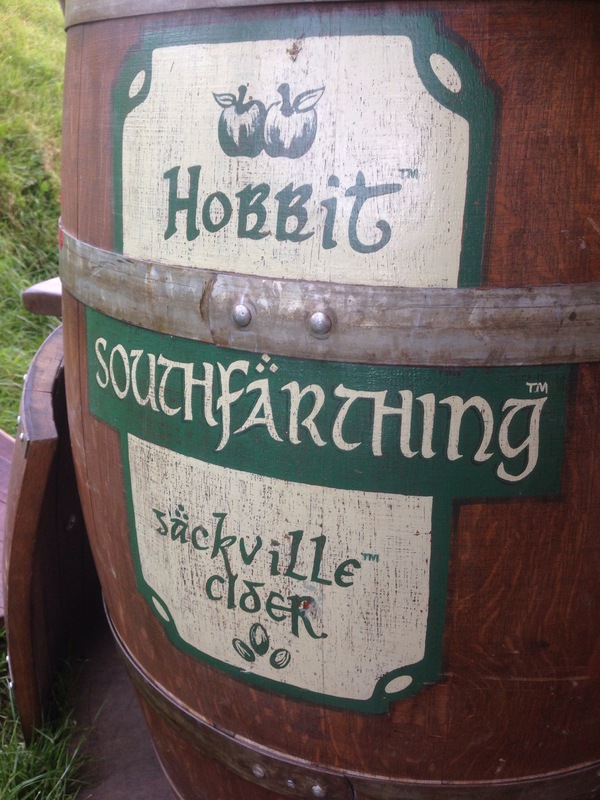 The pub is a real life realisation of a fictional creation by the one and only JRR Tolkien. 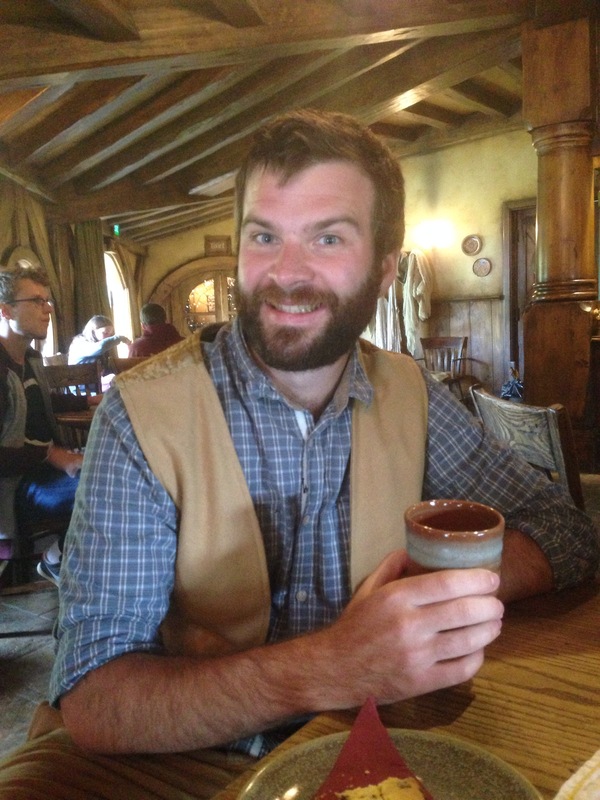 That’s right, the Green Dragon in Hobbiton. Description- We brewed our Amber ale with a classic English bitter in mind. This beer is about rich caramel malts and is the perfect ale to relax with after a long journey. Description- This cider bursts onto the palate with a balance of fruity succulence and subtle tartness. The finish is crisp and will satisfyingly quench any thirst after a hard day in the field. As much as I enjoy a ginger beer (especially with some dark rum), I opted for an alcoholic beverage. The South Farthing Amber Ale did the trick. 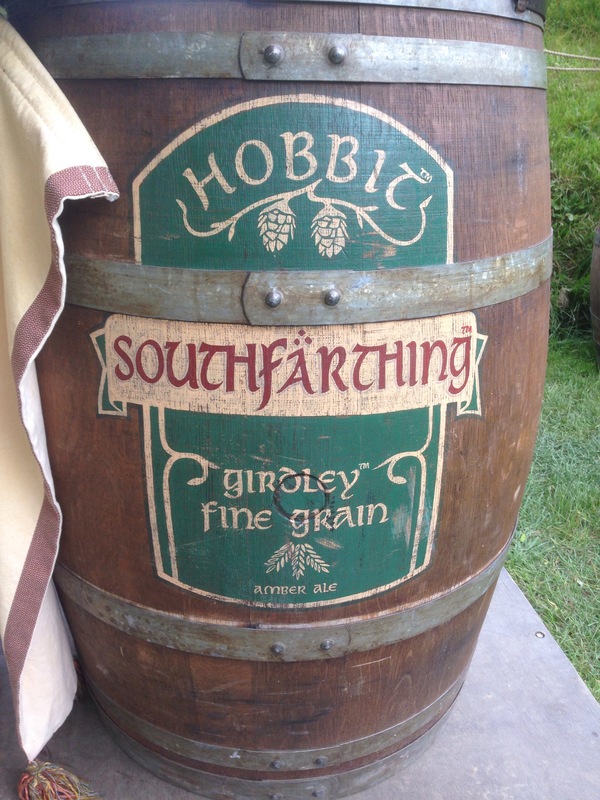 It was served perfectly chilled and was exactly what I needed after a turn around sunny Hobbiton. It was quite light and almost lager like. 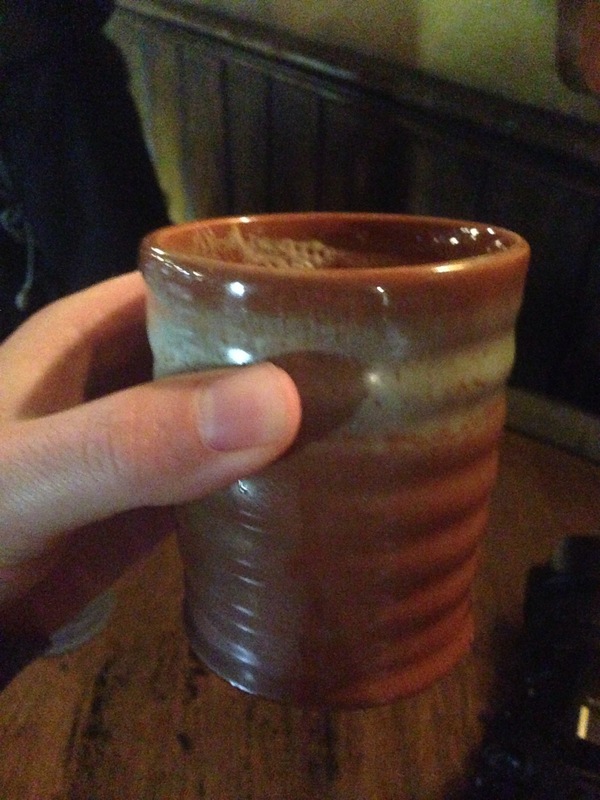 The thing I liked the most was that it was served in a ceramic mug. I’ve never drunk beer from a ceramic mug before but it works very well as a drinking vessel, mainly because I found it kept it cold for much longer then a glass. 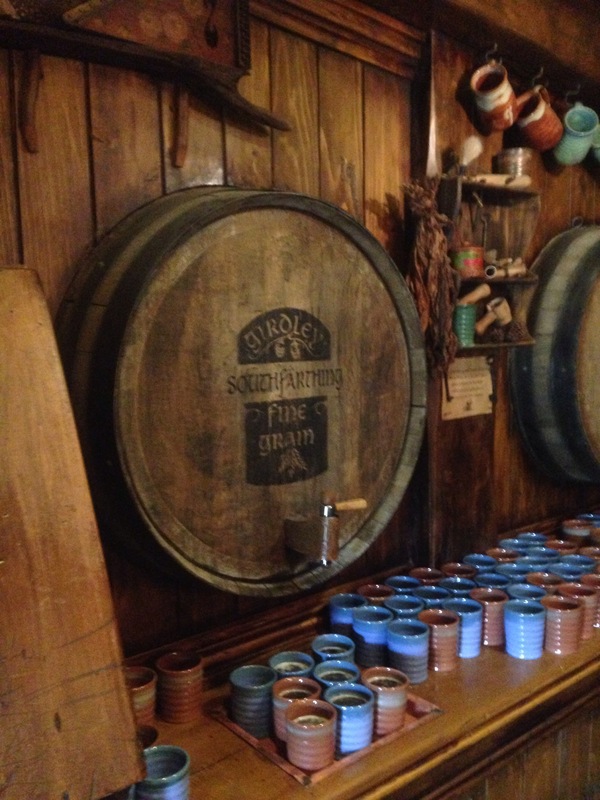 I also managed to sneak in a few chugs of Hep’s mug of Sackville cider. It was very scrummy and like all my favourite ciders, it tasted just like apple juice. I shall have to return so that I can try the Oatbarton Brew. Although at $75 a ticket (roughly £30) it’s not the cheapest pint in the world. 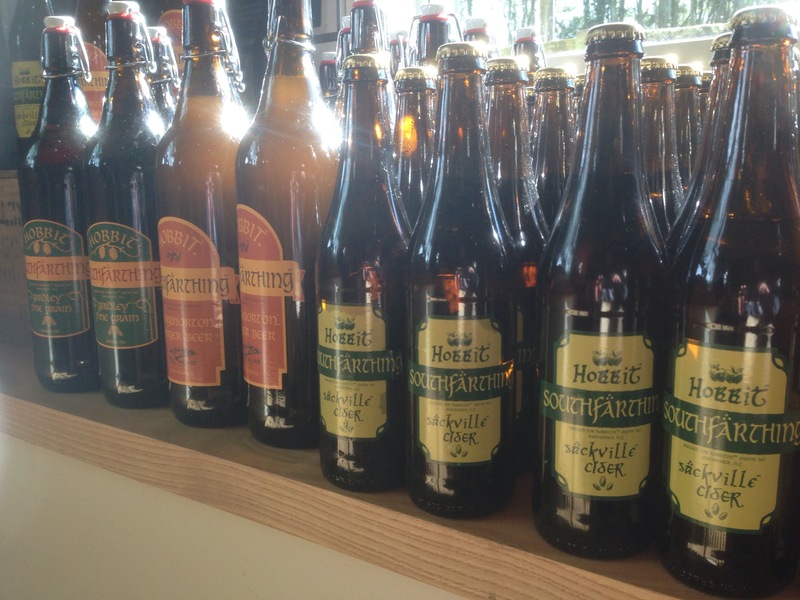 Both the beers and the cider is brewed exclusively for Hobbiton by the Good George Brewery in Hamilton. I hear the brewery is definitely worth a visit if you ever find yourself there. I think I might have to add it to the itinerary. Hahaha amazing. Love pubs and love the movies.